Mon., Dec. 7, 2015, 5:15 p.m.
To report standing water to the city call 625-7900 (workday) or 625-7800 (after hours). Read a report about a windstorm expected on Wednesday. 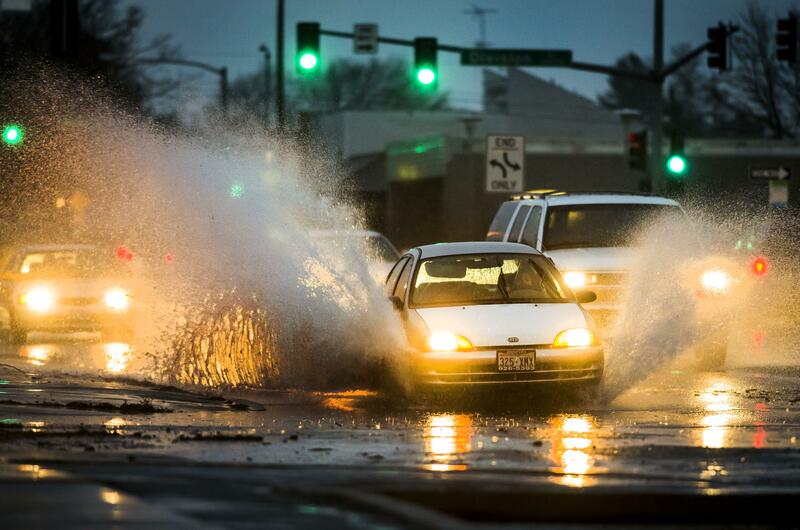 Heavy rain in Spokane on Monday broke a 133-year-old daily rainfall record. By 9 p.m., 1.07 inches had been measured at Spokane International Airport. The rainfall breaks the Dec. 7 record of 0.65 inches set in 1882. The National Weather Service has issued a flood advisory for much of the Inland Northwest that will remain in effect through early Thursday. Forecasters said that small streams, rural roads, low-lying fields and urban roadways could be affected by high water. In addition, heavier rain in mountain areas may trigger small landslides. The Kootenai County Sheriff’s Office warned residents not to drive into high water and to watch for falling rocks and slides in mountain areas and along steep slopes. Another inch or more of rain is expected in lowlands through Wednesday, and up to 3 additional inches of precipitation are possible in mountain areas, the weather service said. The city of Spokane received some reports of standing water on roadways. Marlene Feist, the utilities communication manager, warned against driving through standing water. She also asked that people report flooding to the city. Spokane County spokeswoman Martha Lou Wheatley-Billeter said the county hadn’t received reports of flooding, although county crews were on standby. “Given what happened during the windstorm, it’s really important that people who live on corners by storm drains clean those out,” Wheatley-Billeter said. Staff writer Eli Francovich contributed to this report. Published: Dec. 7, 2015, 5:15 p.m.